Look — if you want an authentic, rough-it-out, visceral camping experience in the frayed edges of wilderness, camper trailers won’t help you. 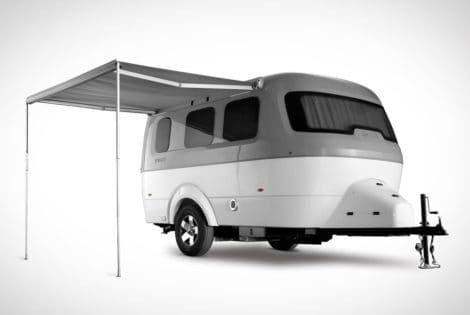 But if you like bringing along creature comforts in outdoor shenanigans, consider SylvanSport’s VAST camper trailer. 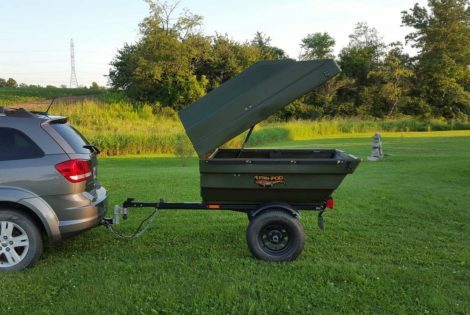 There’s been a surge of camper trailers of late, and while most new models are decent enough, the SylvanSport VAST is another story. 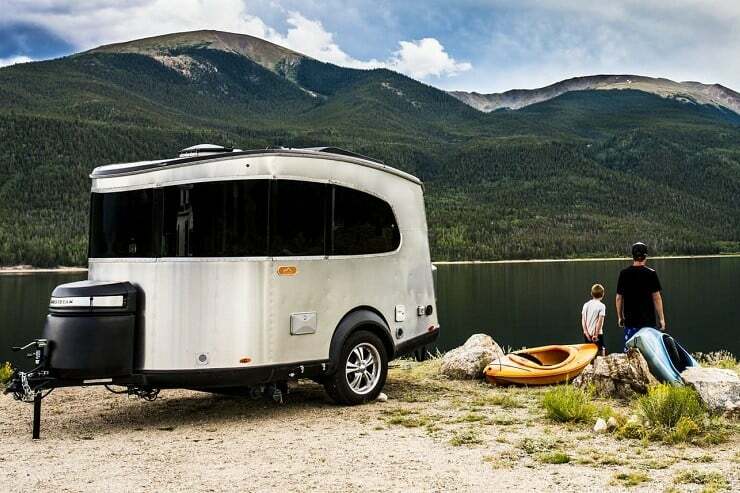 Most notably, it’s the brand’s first-ever camper trailer. 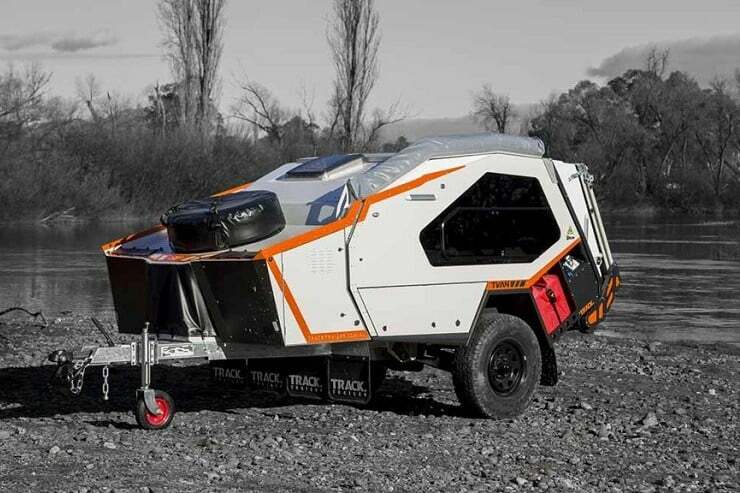 Thankfully, it’s no botched job, as SylvanSport is redefining what a camper trailer should be. 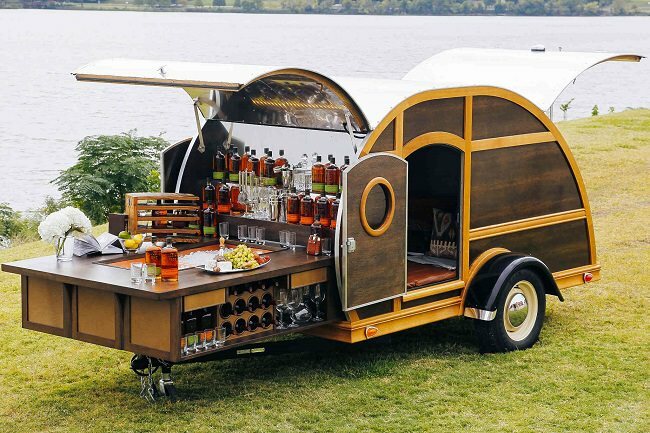 The result is an ultra-versatile three-in-one trailer with efficient use of space. You get a customizable lounge area that can be converted into a two-level sleeping area. Not to mention twin queen-sized beds that descend from above via motors. When you hop out of bed, you can tuck them back up so as to save space. That then gives you access to an onbaord bathroom and an indoor or outdoor slide-out kitchen. Oh, and that kitchen — we’re talking a two-burner stove, a fridge, a freezer, a sink, and plenty of storage. SylvanSport designed the entire thing to hold up your camping gear, too. So, you get things like rails for kayaks, a space inside for bikes, and even hideaway storage for dual propane tanks. 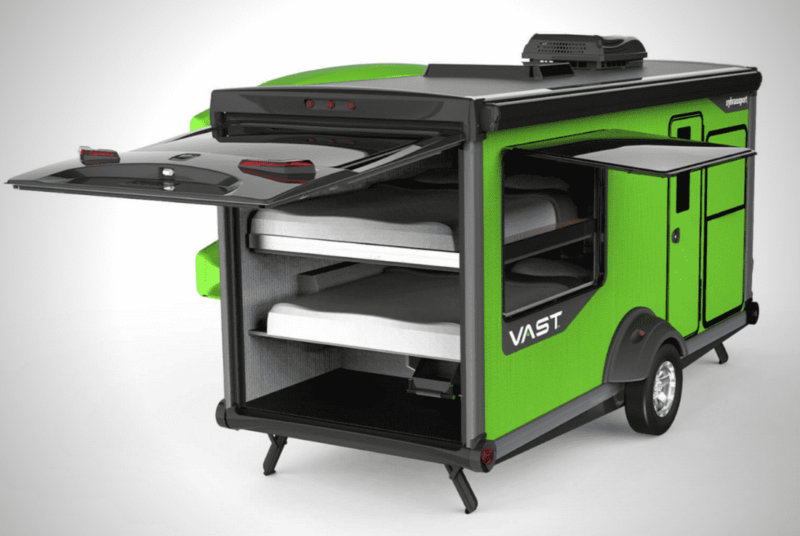 The only downside to the SylvanSport VAST camper trailer is that you can’t buy it yet. 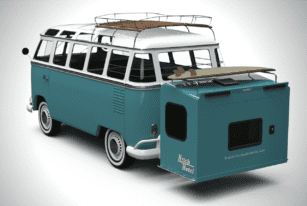 But if that trip’s coming up and you haven’t settled on a camper yet, this one’s probably your guy. It’s got every essential creature comfort imaginable. It’s not exactly what you’d call a roughing-it-out experience, sure, but who cares?